Leyla Sharabi is a Miami based photographer. 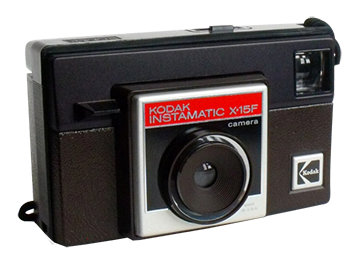 A photo editor for fifteen years in New York City, she began taking pictures in the early 1980’s after receiving a Kodak Instamatic x-15F. She started photographing friends in casual sessions and learning the craft and fundamentals as a student of photography in high school. While attending university in Washington DC in the late 1980’s and early 90’s, Leyla studied at Glen Echo Park’s Photoworks division and at the Smithsonian Institute. After moving to New York in 1994, she took classes at New York City’s International Center of Photography. Leyla’s work has appeared in Glamour, Dutch, Impact! and Harper’s Bazaar Australia and her work has been exhibited at “Photography: Intimate Encounters, The Mentoring Relationship” at New York’s Rye Arts Center and at the 2018 Earth Day Photo Exhibit at the Miami Hispanic Cultural Arts Center. More of her work can be seen at Art Photo Index (press continue after the link) and Vimeo. Please visit her shop on Etsy for merchandise. While Leyla aims to capture certain photos in any given session, what most interests her is the energy of the shoot. The intention is for the experience to be fun and relaxed. Leyla’s interpersonal style permits clients to enjoy their time and to forget the camera a bit. This approach brings out the best and unexpected in people visually. That being said, should clients wish to bring ideas, requests or full creative direction to a session, such guidance/collaboration is welcome.